Avoid costly downtime. We’ll keep your fleet up and running. Your business can’t afford to have its vehicles out of commission. Let Yingling’s Auto Service keep your fleet up and running. We understand the fleet repair business and know how unplanned maintenance and downtime affect your bottom line. With our corporate fleet experience, modern facility and advanced maintenance management system, we can keep your vehicles on the road. At Yingling’s, our policy is “Minimal Downtime.” Your vehicle won’t be sitting waiting for service. 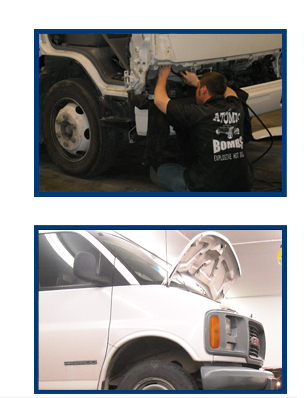 Our 12 service bays and expert staff allow us to complete most scheduled maintenance and repairs in the same day. In addition, we apply technology to improve our operating efficiency and get your vehicles back to you faster. Trust Yingling’s Auto Service to support your fleet in a way that is unmatched. No matter the type of vehicle or maintenance problem, we have the resources to meet your needs.